After a night of pretty heavy fever I woke up with major congestion and a headache on March 2, 2014. 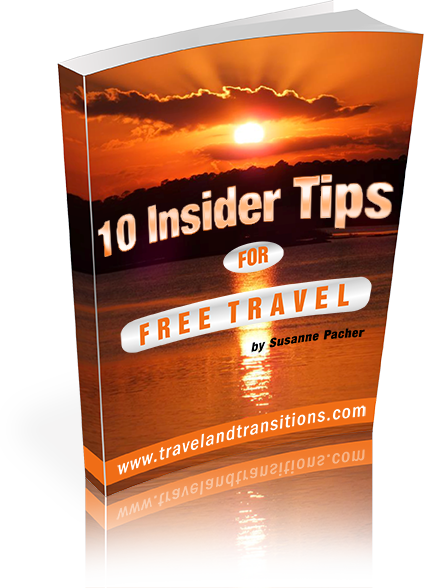 It was another brilliant day but I felt I was not in any shape to do any major sightseeing in San Miguel de Allende. As a matter of fact, I stayed in bed until about noon to try to shake off the flu I had caught, but to no avail. But since it was such a gorgeous day I decided to head out anyway and took the bus downtown. My first stop was at the Instituto Allende Art and Spanish School. 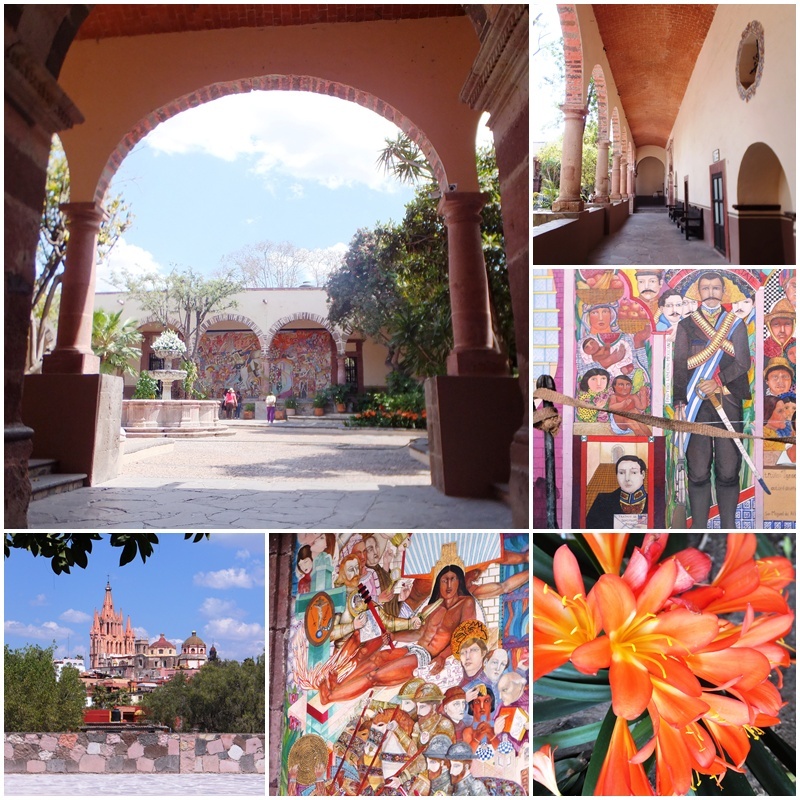 Founded in 1951, this school is housed in a former hacienda and has a gorgeous courtyard as well as a café and a gallery. The Instituto Allende also provides cultural events and travel booking services. From the courtyard in the back there is a fabulous view of the magnificent parish church of San Miguel. After a quick lunch I restarted my walk and passed by the Hotel Nena and the Rosewood San Miguel hotel complex which I had visited a couple of days ago. 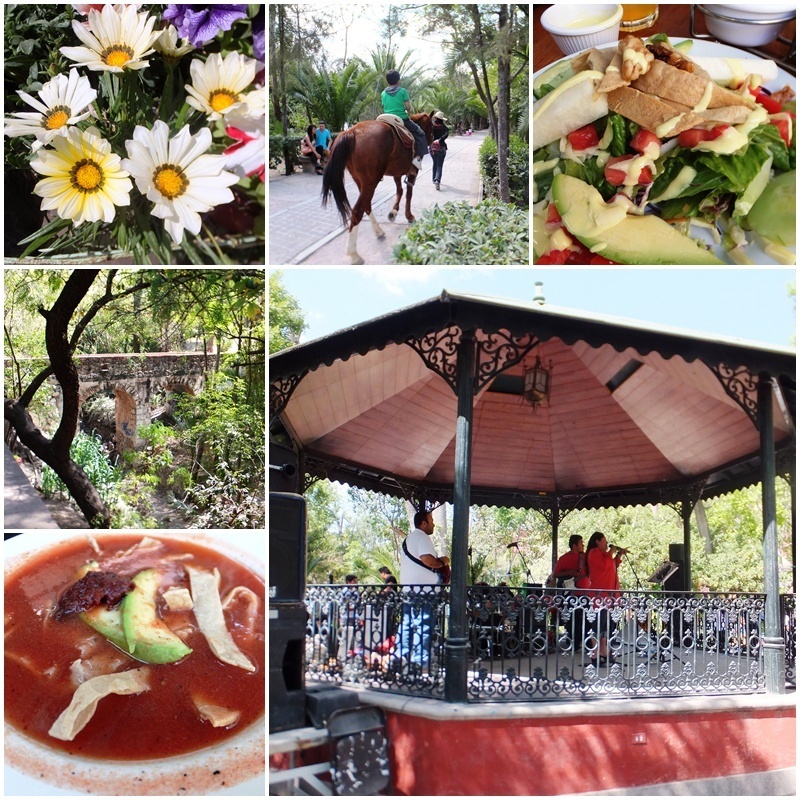 A few minutes later I reached the Parque Juarez, a large public park that was opened in 1904. On this day there was a big festivity called “El Dia de la Familia” where hundreds of families had come out to enjoy the games, rides, music and food that had been set up in the park. Just up from Parque Juarez and located at the top of a winding street on a steep hill and housed in a former convent, there is a local two-story cloister that is now home to art exhibits and classrooms for visual and performing arts. Located just a few steps even steeper up the hill is an old stone church, the Santa Cruz del Chorro Chapel, which is perched up high above the city. I enjoyed sitting in the sun on one of the benches in the church yard, trying to catch a rest after the steep climb. Although it was only mid-afternoon and the sun was beaming, I decided I was in no condition to continue sightseeing and took a taxi back to my room. I climbed back into bed, trying to shake off the flu. 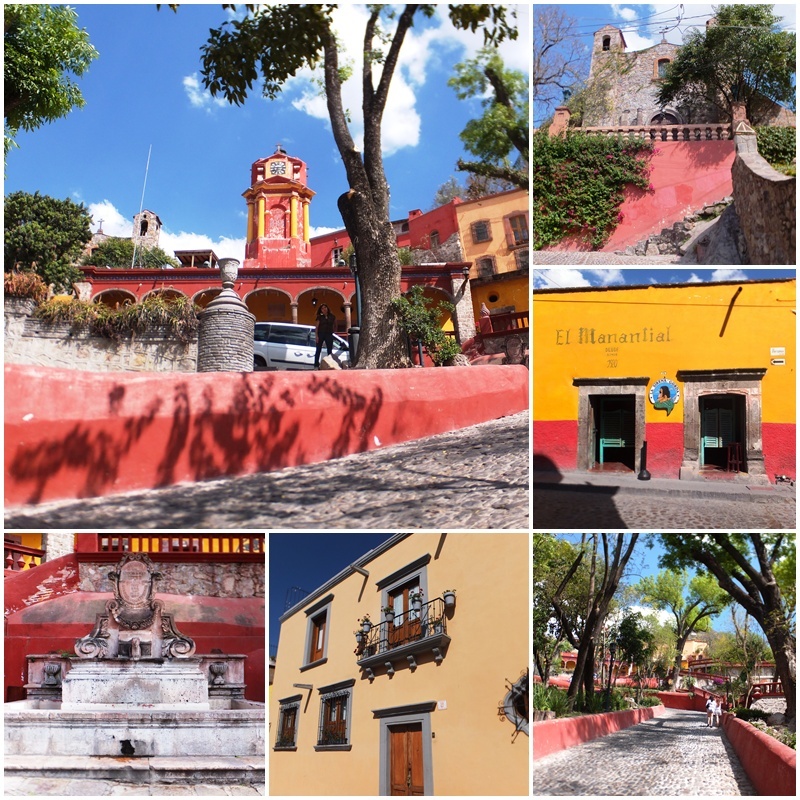 At least I had managed to get a couple of hours of sightseeing in San Miguel de Allende.